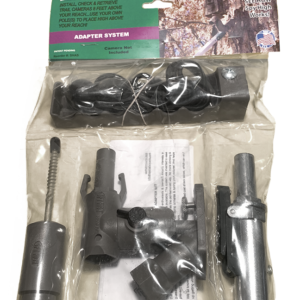 This patent pending design easily screws into any tree at any height (up to 14′) and the universal mount fits most game cameras. High quality polycarbonate will hold up to multiple uses and harsh weather conditions. Helps prevent stolen trail cameras! No more climbing! 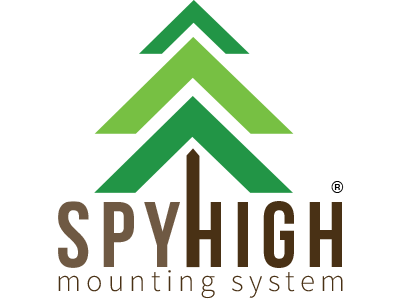 With the SpyHigh® Mounting System, you’ll finally have the ability to easily install your game/trail camera high up in a tree and manipulate it—all without ever leaving the ground. 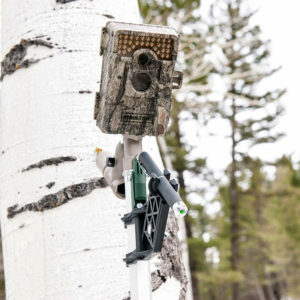 Whether your interest lies in hunting, wildlife monitoring, or even property surveillance, the SpyHigh® Mounting System allows you to position your trail camera from the ground to capture a wide range of photos and videos, while you enjoy the peace of mind knowing that your camera remains virtually invisible and secure. 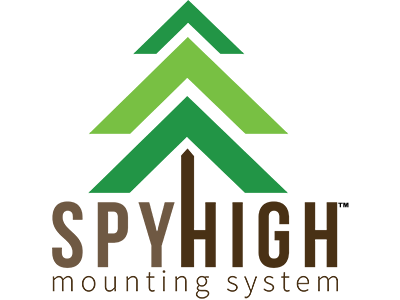 I've been selling and using trail cameras for the past 12 years. Theft has always been a serious issue for any public land hunter, and with Spy High there is no longer a need to pack several yards of cable and padlocks into scouting locations. I am most impressed with the ease of use and the ability to set my cameras 12 to 15 feet in the air without having to climb a tree. Setting cameras with the Spy High is actually easier and faster than with the traditional straps that they come with, and the laser makes positioning the camera on the trail a cinch. I am also very impressed with how modular the system is; I can clear away limbs with the saw, screw in the tree mount, attach and aim the camera in a matter of minutes. Spy High products are tough, dependable, and a product I'll be using for many years to come! 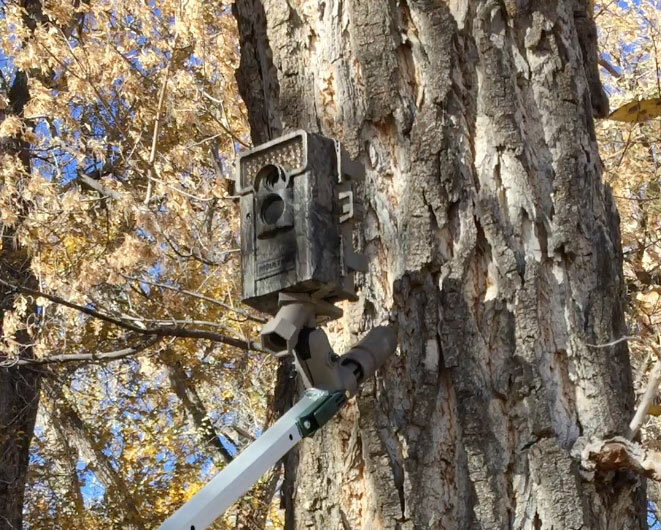 My trail cams have a new best friend, the SpyHigh camera mount, a mounting system that lets you install your trail cam high into a tree or out on a limb while staying safely on the ground. With many years of bow hunting experience, let me tell you that this system will take your scouting to the next level. 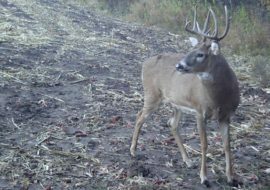 This system eliminates two major problems facing those scouting with trail cameras. Having your camera mounted several feet in the air drastically reduces your chance of camera theft and spooking camera-shy game. 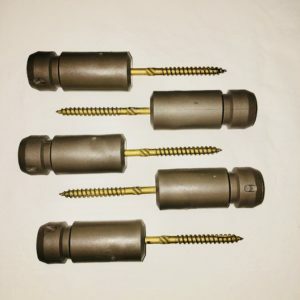 After unboxing and examining the telescopic poles and the mounting hardware, I was impressed by the quality of the materials used in the production of the SpyHigh system. Each piece is surprisingly lightweight while remaining sturdy enough to withstand the elements required for all types of scouting. To top it all off the camera systems are proudly made in the USA. After watching the instructional videos on their website, my father and I were able to mount our trail cameras into the trees with ease. This could not be a simpler process. When the camera is mounted you can even attach a laser guide to your telescopic poles to ensure that you have placed your camera exactly where it is needed to capture the perfect picture. If you have a limb in the way or leaves blocking your camera, attach the included limb saw to your poles and you will have a clear field of view in no time. This unit is very light weight and can be easily carried or added to your backpack to travel from one location to another. We give this product five stars and would recommend it to anyone wanting peace of mind knowing your cameras are out of sight and out of reach of others. It’s too bad this product hadn’t been developed years ago to save many the heartache of stolen trail cameras. Hats off to the SpyHigh Mounting System developers for solving this problem for all of us. The system is well-built and allows the user to get cameras up and out of the line of sight (even while working exclusively off of the ATV). 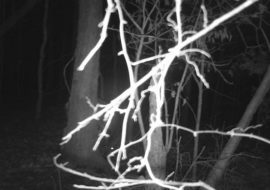 I have yet to have any animal look directly into the camera with this system, and that is not the case with cameras set a few feet off the ground. I occasionally have trespassers, so getting the camera out of the line of sight is a good thing in that regard as well. Often it is difficult for me to get the ATV in tight to a camera location (tree, fencepost, etc.) so in those cases I use the Spy High mounting system so I can just reach over and pull the camera off and work on it in my lap and then re-install back onto the mount. An unexpected benefit is reduction in glare when I have a camera pointed toward a rising or setting sun. In the higher installations there is enough angle downward with the camera to reduce the frequency of glare/washed out pics as the sun is on the horizon. I'm still learning on how to make the most of it, but the system has certainly given me more options for camera locations and setups.